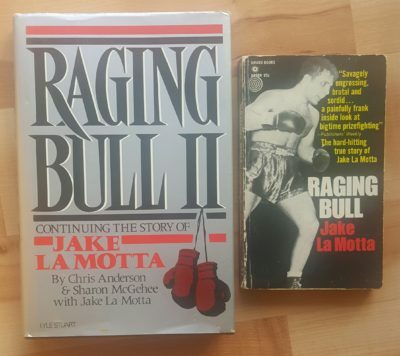 On September 20, 2017 Jake La Motta, middleweight champion whose epic fights with Sugar Ray Robinson are legendary, passed away at the age of 95. LaMotta was known as the Raging Bull and he fought in 106 bouts in a 14 year colorful brawling career. His Fame led to Martin Scorsese’s 1980 movie Raging Bull, that was nominated for eight Academy Awards and in which Robert DeNiro won best actor for his portrayal of LaMotta. Although foes in the ring, he and Robinson were friends outside it. Robinson served as his best man in LaMotta’s sixth wedding. La Motta was born on July 10, 1921 in the Bronx, New York. He grew up in an Italian neighborhood fighting other kids for money while his father collected his winnings to pay the rent and for other household goods as needed. His boxing career came to life while LaMotta was in reform school as a teenager for a burglary charge. Interestingly enough, he would meet and become friends with Rocky Graziano, who was in reform school at the same time. 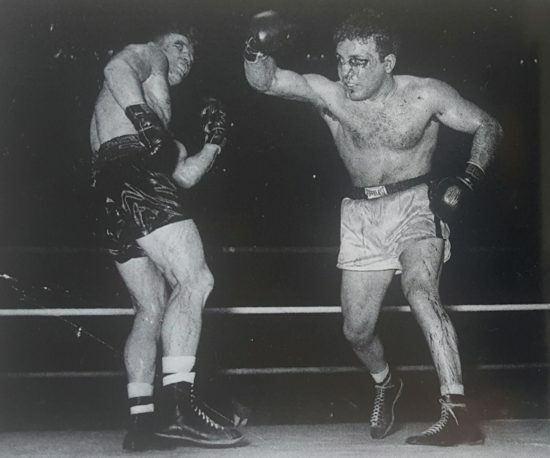 Rocky helped perfect his style and LaMotta would turn professional at the age of 19. As a professional he posted a ring record of 83 wins, 19 losses, and 4 draws, with 30 by knockout. He won the middleweight championship on June 16, 1949 stopping Marcel Cerdan (111-3 ring record) in the ninth round in New York. He would successfully defend his title twice before losing to Sugar Ray Robinson. In his career he fought a tough Fritzie Zivic four times within seven months in 1943 and 1944, losing only once. In his retirement, he operated a nightclub in Miami Beach where he was a stand-up comic and singer. He would later testify before a Senate inquiry into boxing corruption regarding his 1947 fixed fight with Billy Fox; LaMotta then served a short prison term. LaMotta was inducted into the World Boxing Hall of Fame in 1986, the International Boxing Hall of Fame in 1990, and the New York State Boxing Hall of Fame in 2012. May his soul rest peacefully in heaven with the Lord.